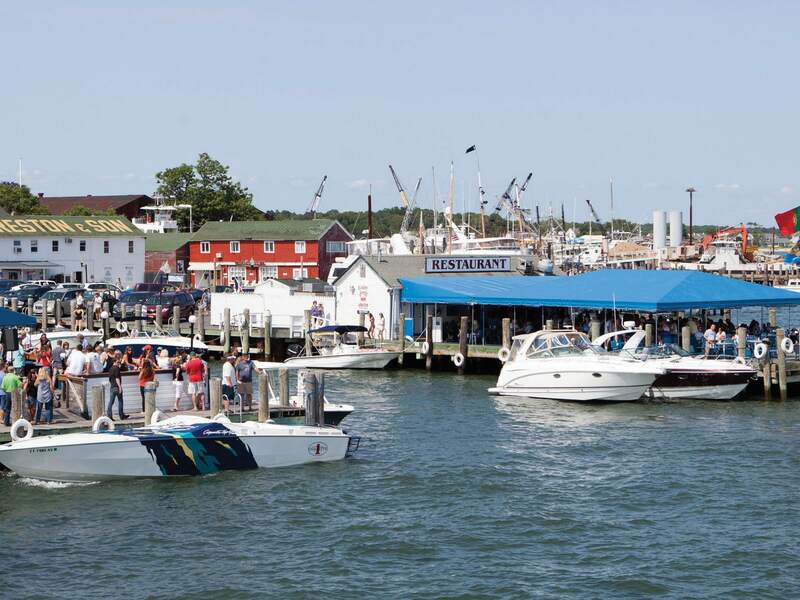 Waterfront eateries old and new are bustling with East Enders craving local seafood with an iconic view. The ubiquitous lobster roll and glass of rosé—an edible evolutionary pairing brought to you in part by generations of hardworking Long Island mariners—is best appreciated, along with other fresh catches, at one of the Hamptons’ waterfront eateries, each of which pays unique homage to the region’s precious waters and those who fish them. 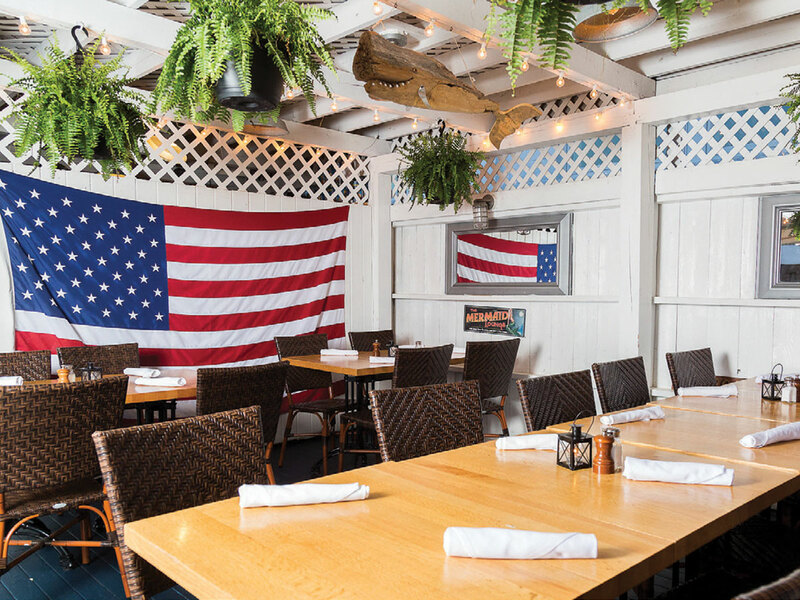 Claudio’s, a trifecta of restaurants in Greenport that includes Clam Bar, Crabby Jerry’s and the original Claudio’s Restaurant, founded in 1870, is a North Fork fixture. The sense of community is a driving force behind the group’s new ownership and its engagement of Sen Restaurant’s Tora Matsuoka and Stephen Loffredo to manage the venues. 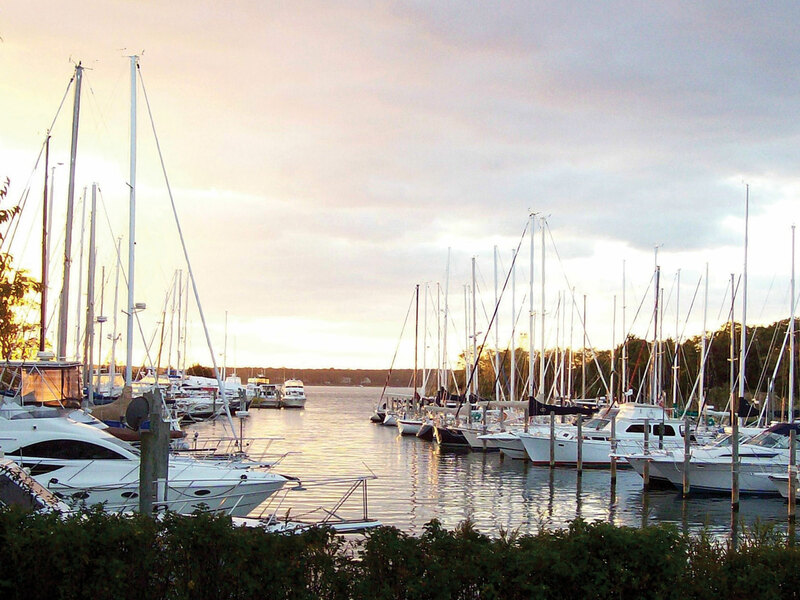 Chef Damien O’Donnell at East Hampton’s Harbor Bistro shares a similar philosophy while bringing an international flair to his seafood-centric menu served with marina views at Three Mile Harbor. The view from the appropriately named Harbor Bistro. 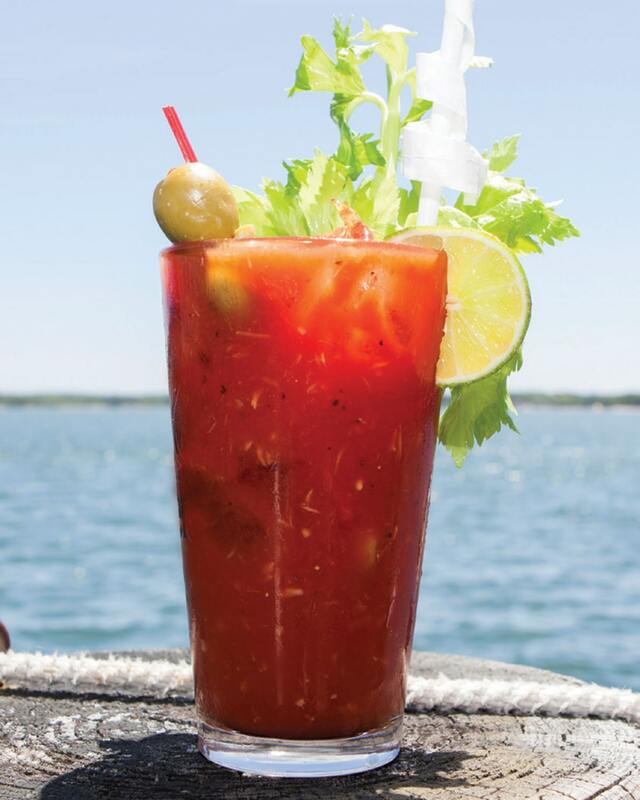 From restaurateurs Keith and Ali Bavaro (the dynamic husband-and-wife team behind Shelter Island’s SALT), PORT Waterfront Bar & Grill has joined the elite list of East End destination dining spots. Its thoughtfully conceived layout features water views from a raised deck, a lounge area with fire pits and live music, an openair gazebo bar and a beachside communal table for private gatherings. The Mermaid Lounge at PORT Waterfront Bar & Grill.